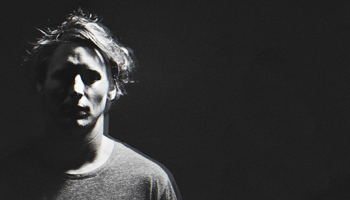 10 Reasons to Love: Ben Howard, The End Of The Affair – music waffle. 1) Although this song was the first release from the album I Forget Where We Were and technically a single, it is over 7 minutes long. This shows it is not your catchy pop pap that artists often release to hook in the passing radio listener. It’s proper Art. And that shows a degree of confidence and seriousness from Mr Howard. 2) It’s a song of two halves. The first half sees Ben lost in his own world of acoustic mumble as he feels pretty sorry for himself in the aftermath of a broken relationship. The second half simply blows your socks off. 3) He’s a man weighed down with unhappiness, “Loving without you, loving at all” is an effort, and the vocal delivery feels tortured and heavy. There’s an element of embarrassment at the thorny issue of mutual friends. You get the impression that he’s become a human pin cushion, pricked and stabbed by the fact that she’s running round in love again. 4) At four minutes we get a mid song lull. No, we haven’t finished yet. He’s just drawing breath for the onslaught. 5) Ben bobs about as he gees himself along into a section of guitar picking and skittering rhythms. I’m not sure I’ve seen the right and left mitt quite so close together on the fret, as he shows masterful musicianship. 6) A the warm sonorous instrumentation builds, so does Ben’s anger. “What the hell love?” he shouts. 7) At 6:08 he puts his guitar flat and cries into it. MY HEART IS BROKEN! 8) Then for his next trick he plays with his hand over the top of the fret. Apparently he does this because he has small hands. 9) Finally we have built up to the most gorgeous textured and intensely emotional climax, breathlessly beautiful. It is one of the most heart wringingly perfect live performances you will ever see. Ben looks spent when he’s finished. Give that man a hug. Can I get to the writer of this post? Thank you for capturing the magic of the song so aptly. Pingback: Ben Howard releases Noonday Dream – music waffle.